The Takata airbag recall is being called the biggest auto recall in history, with more than 100 million airbags involved worldwide. But despite the dangers, many vehicles that have these airbags are still on the road. That has safety experts demanding the auto industry do more to repair the faulty products. Faulty airbag deflators have led to 15 deaths in the U.S. and hundreds of injuries worldwide. Takata blames the problem on a chemical drying agent, which could cause the airbags to rupture with a powerful force, blasting shrapnel into drivers and passengers. So far, the recall affects dozens of makes of vehicles. But despite the dangers, millions of potentially deadly airbags have yet to be replaced. “The highest risk areas are places with a lot of humidity and warm temperatures,” said David Friedman, Consumers Union director of cards, product policy. Friedman was acting administrator of the U.S. National Highway Traffic Safety Administration when the recall went into effect. 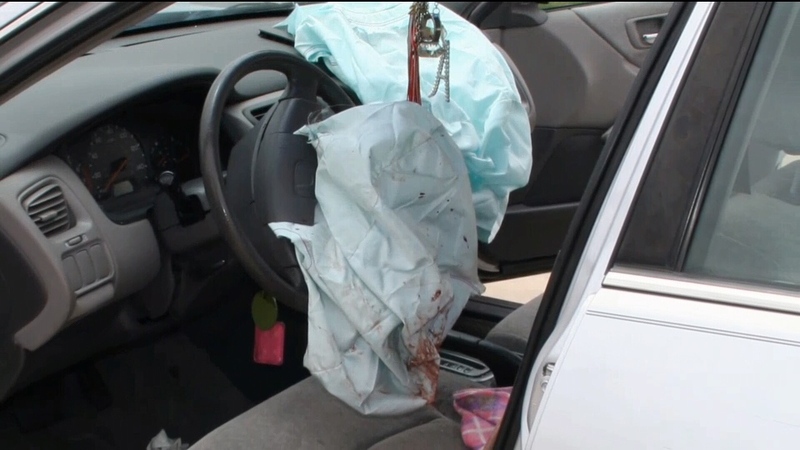 “Manufacturers need to do more to help people understand how deadly these airbags are. But at the end of the day, it’s your responsibility to get your car fixed right away, if it’s got one of these defective Takata airbags,” he said. Finding out if your vehicle is involved in the recall is simple. “Look for your VIN on the lower left hand side of your windshield, or on your door jamb,” explained Jen Stockburger, Consumer Reports director of auto testing. Take that number and log onto Transport Canada's website. It will direct you to the manufacturer's look up tool, where you can enter that VIN. There's also a list of vehicles that should be repaired immediately, with airbags that have a higher risk of failure. And that list is still growing, so even if you checked your VIN before, it’s important to check in again to see if your car's been added to the list. When these recalls were first being announced years ago there were issues getting parts and having your airbag repaired. But we called the manufacturers on Transport Canada's "repair immediately" list and all, except one, said they had parts available. Ford was the only manufacturer that said it was unable to do repairs because it didn't have the parts at this time.